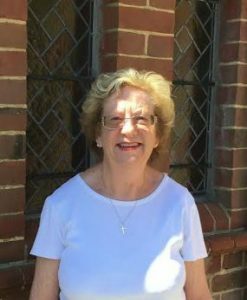 Rosemary Lay is our parish administrator. Rosemary is usually in the church office on Tuesdays, Thursdays and Fridays from 10.30am to 1pm. If you’d like to make an appointment to see Rosemary – for example, to discuss arranging a baptism or wedding at St George’s – please call the church office on 01243 782885.